Ive wanted a black leather skirt for AGES. But it is something I have weird requirements for... the feel, the thickness- not too thin as it can look cheap. The shape and tightness- Im not a bodycon person. This skirt fits all my requirements, it feels like real leather even though its not and its a good heavy weight for winter. The high waist and slightly longer length are perfect for my style and for day or night. Yet despite its perfectness I found it hard style. I think because I never wear black..ever bar black tights that styling it with my usual bright colours proved too... crude. 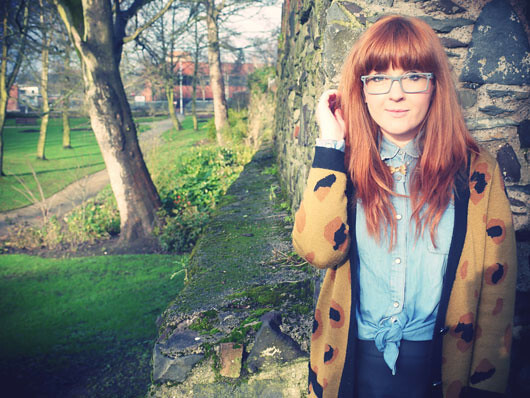 So on this occasion I styled it with my trusty denim shirt and favourite oversized cardy. Cardy c/o Sugarhill Btq, Denim Shirt: Asos, Leather Skirt: H&M, Tights: M&S, Loafers: Zara, Necklace c/o Cutiepie Jewellery, Watch: Casio, Glasses: Gok Wan. And finally (apologies for the delay) the winner of my Jarlo Dress giveaway is No 49 Endless Summer. Congrats! I think you did a great job styling it! I always seem to end up wearing black with black too much. I love the look of leather skirts on others but I don't think its something I would wear as I think I would get too hot and bothered in one. I really like what you're wearing- the skirt looks lovely on you and I think you've styled it really well! I adore this skirt, it looks so chic! Love the outfit, the skirt suits you so well! Are the Zara loafers still in the stores or older? 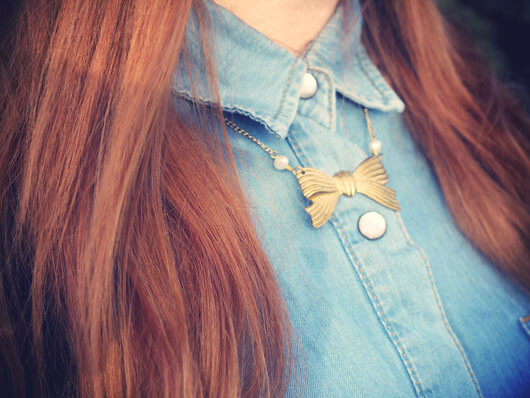 This looks great on you - I love the combination of denim and leather! I think you did a great job styling your new leather skirt! I love the leopard cardigan and denim top paired with it. Your shoes are adorable too!